Hair bow is removable and is available on your choice of hardware. 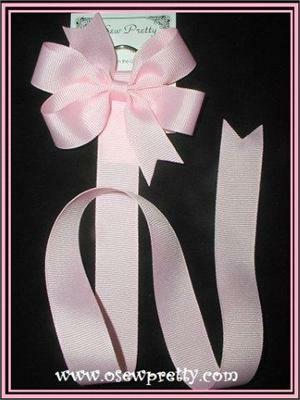 This hair bow holder make's a perfect gift. This is a must have decorative bow holder that is available in all 7/8" grosgrain colors. The removeable hair bow measures 3" across. Hair bow holder is 36" long.